"CLUB BOOGALOO" – the name denotes its significance: Modern organ jazz where the groove plays a pivotal role – bebop, funk, shuffle, swing and boogaloo. 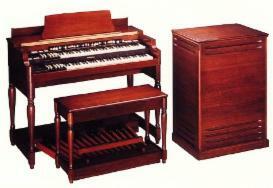 In addition, there are blues blues elements and of course always the warm sound of the Hammond B 3. The music is based on the tradition of Jimmy Smith, Jack McDuff, Dr. Lonnie Smith, Don Patterson, Charles Earland, Larry Goldings, Joey DeFrancesco, Jimmy McGriff, George Benson, Grant Green and Wes Montgomery and continues it in a contemporary way. Sounds like Harlem, sounds like a good time! Special Guests: John Marshall (trp), Andy Haderer (trp), Torsten de Winkel (git), Andrej Lobanov (trp), Hendrick Smock (dr), u.v.a. The first album "Hammond's Delight" was selected by the journal Jazz Thing for the Next Generation series .